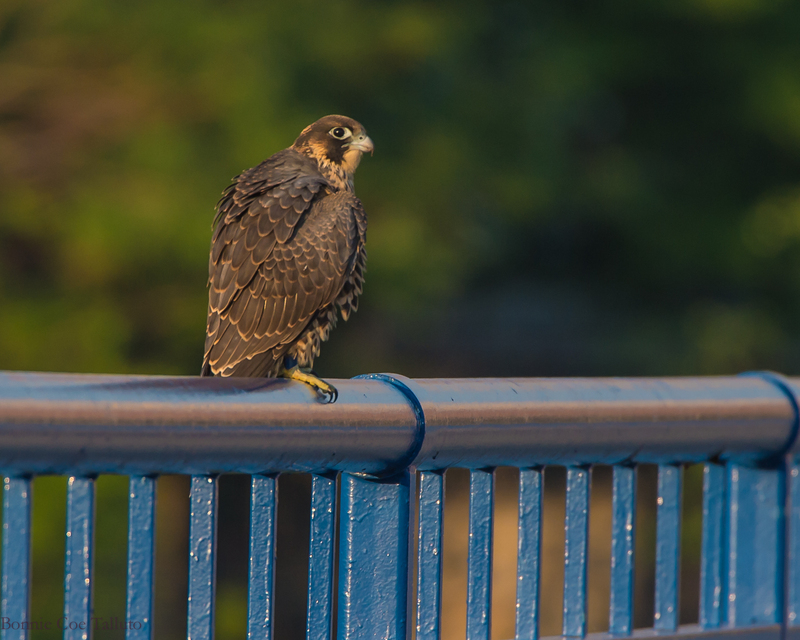 The falcon population in Rochester is growing. 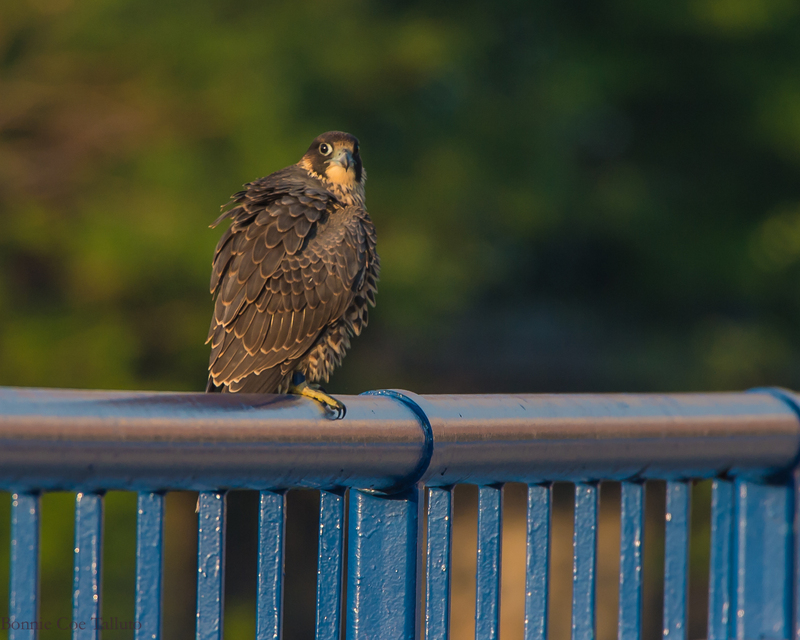 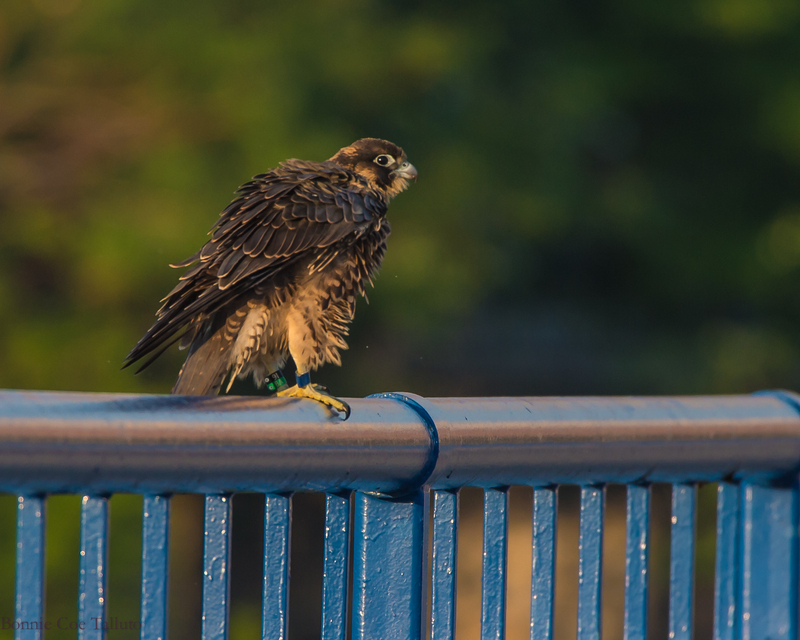 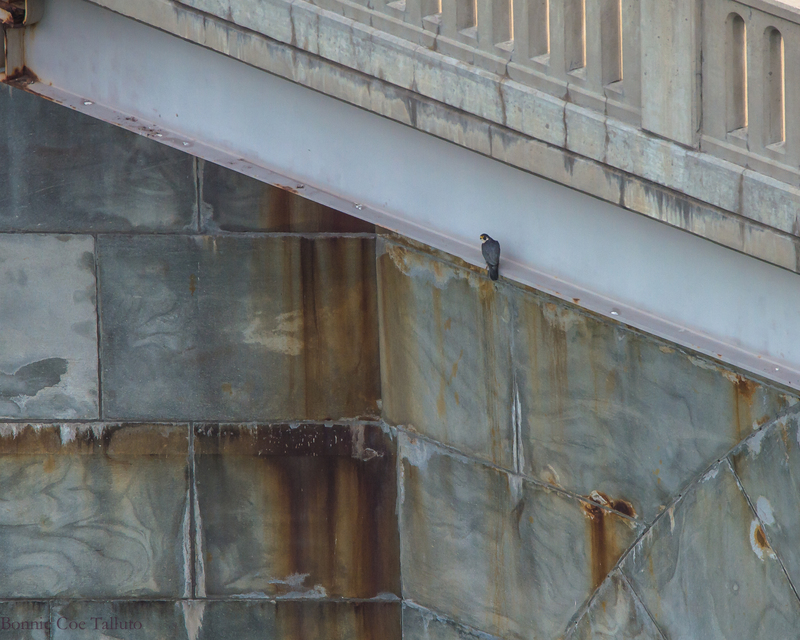 Here is Cadence, 2015 fledgling, who landed on the rail in front of us early Saturday morning. 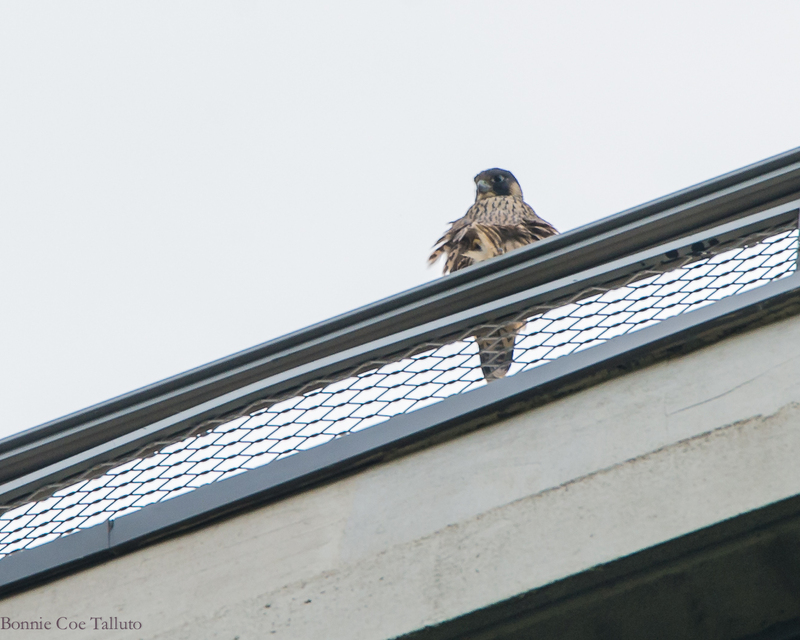 The Seneca Towers falcons are below.